Visible arc indication from the top of sprinkler, for infinite adjustments from 45º to 360º. Part and full – circle arcs in one sprinkler. Stainless steel radius adjustment screw allows up to 25% radius reduction. Pressure activated seal and robust trip mechanism for enhanced reliability. Ratcheting riser for easy arc adjustment. TORO POP UP SPRINKLER SERIES ROTOR MINI 8: Toro offers the Mini 8, a 15mm (1/2’’) gear-drive rotor that provides value. It serves as the perfect in - between fit for your applications where the landscape is too big for sprays, but too small for a full - size rotor. When using a 15mm (1/2”) rotor, you can water efficiently, thereby saving money (and water). The cost to irrigate is less per square metre and compared to fixed-sprays, it requires fewer stations to cover an area. 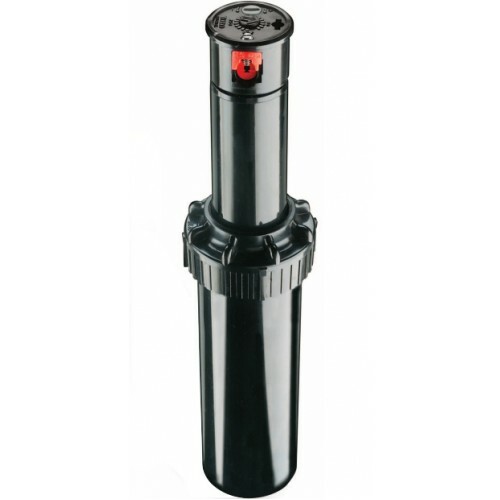 The MINI8-4P comes with 5 nozzles, pops up 95mm and is fully adjustable from the top of the sprinkler . Add Mini 8 to your fixed spray and rotor offering and have all the tools you need to irrigate residential and commercial landscapes most efficiently and effectively.